Challenges are inevitable on the path to regulatory approval of drug candidates. Successful drug development involves anticipating those challenges as early as possible. Comparative and up-to-date clinical information is needed to verify pharmacokinetic and experimental data, anticipate species-specific issues in translating in vitro and in vivo studies, predict potential drug–drug interactions and design clinical trial studies to best preclude regulatory issues. Drug-drug interactions (DDIs) can lead to severe side effects and have resulted in refusal of approval, prescribing restrictions, withdrawal from the market and, in extreme cases, deaths. 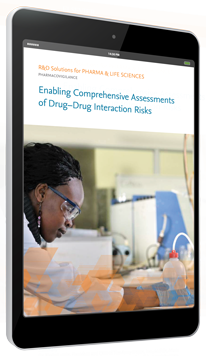 Identifying and assessing the risk of DDIs is a priority during drug development to ensure patient safety as well as a comprehensive risk management strategy. Phase II efficacy-related clinical trial failure rates can be as high as 57%, driving pharmaceutical companies on a quest to improve outcomes. As clinical trials become more complex and costly, optimised study designs that take drug candidate efficacy and efficacy precedents into account are an essential part of risk mitigation. PharmaPendium and Embase work together to provide streamlined and comprehensive information that better informs your risk management strategy. 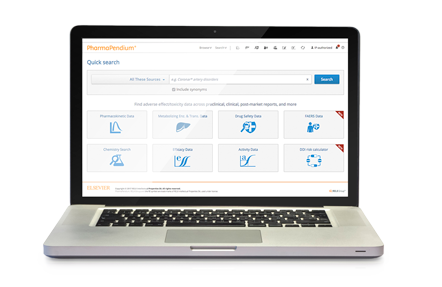 Searching for a drug in PharmaPendium triggers a matched search in Embase and linked access to relevant information from the biomedical literature. "Instead of spending weeks gathering data that we’d then have to standardise, we now spend half a day on PharmaPendium." Dr. Kevin Lustig, President & CEO The Assay Depot Inc.